MAP Asia has been developing Mangrove Interpretation Nature Trails in partnership with two communities involved in mangrove restoration. The first project is located at the Klong Lu Homestay, on Koh Klang Island, Krabi Province, Southern Thailand with the combined trail and mangrove restoration project completed in December 2015, with the support from the Global Nature Fund (GNF). The mangrove restoration site, which was an abandoned shrimp pond, is situated next to the Klong Lu Homestay and appears to be a great opportunity for the community to develop a nature trail as part of their eco-tourism activities. With the help from MAP and volunteers from Projects Abroad the construction of the trail advanced rapidly and is already in use. The Mangrove Nature Trail consists of a short loop pathway around the Community Based Ecological Mangrove Restoration site with three interpretation signs on mangrove ecology along the trail. 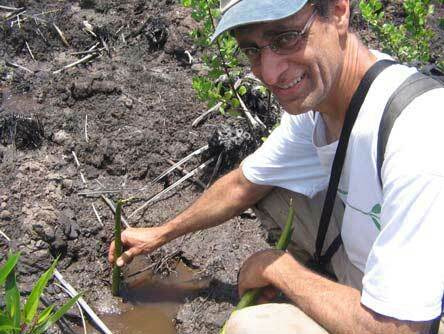 There are also mangrove species identification signs which describe the various species found on site. This is a great opportunity to promote mangrove ecosystems and educate visitors who include daily tourists, individuals and groups staying at Klong Lu Homestay, local school kids and other students. This year, already 2000 people have utilized this nature trail. 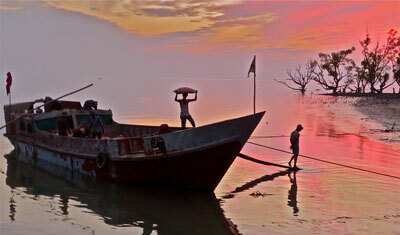 The second mangrove nature trail project is located at Ta Sanook Village, in Phang Nga Province. It is being funded by DAIMLER AG as a Corporate Social Responsibility (CSR) project which is managed by GNF. The short nature trail will go through a very biodiverse mangrove stand passing over a tidal stream which provides an opportunity to see a variety of species close-up. Careful route planning not a single mangrove tree had to be cut down for construction. The community plans to repair a shelter over-top a pond at the end of the walkway which will be used for group discussions. The construction of the 70 meter-path started in early March 2016 and aims to be completed by May 2016. This Mangrove Nature Trail will mainly serve to support mangrove environmental education of local schools. Construction of the nature trail in Ta-Sanook is advancing quickly. 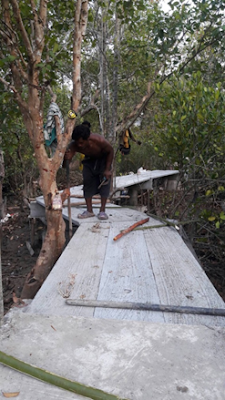 MAP is excited to be involved in these environmental education projects as it is the first time for the organization to be involved in developing mangrove interpretation nature trails. We hope they will be a fantastic tool for education of local communities, students as well as visitors and tourists. Global fisheries are collapsing — What happens when there are no fish left? Thank you very much for your help and assistance on this paper [Incidental impacts from major road construction on one of Asia’s most important wetlands], which is now appeared in print in Pacific Conservation Biology. (I may have previously already sent you an Online Early version with no page numbers). It is imperative to do something to stop the spread of highways in the coastal zone of (especially) the Inner Gulf. 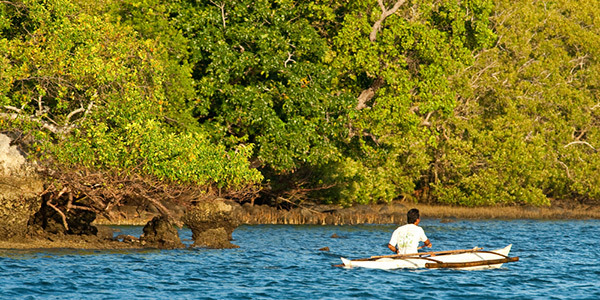 ACTION ALERTS WANTED: MAP News is looking for links to calls to actions/petitions and letter writing campaigns on mangrove issues, tropical coastal communities and other related topics. Not all submissions can be selected, but we look forward to hearing about your work and want to let our readers' voice be heard! The Salt River Bay National Historical Park and Ecological Preserve’s Bioluminescent Bay is under NEW attack by our local National Park Service. WE NEED TO PROTECT THE PARK FROM THOSE WHO PRETEND TO PROTECT IT. From the Executive Director - Please see the linked article below about the Thai Union endorsing spending millions on a "shrimp center" to boost security in their failing industry. It is so naive for the TU to think by setting up such a "shrimp center" they will magically discover ways to solve the disease issues that stem from inherent fatal weaknesses in their mode of operation in the first place. I have stressed for two decades now the need to covert their unsustainable, open, throughput systems of aquaculture to closed recirculating systems built inland, away from the inter-tidal zones and not on otherwise productive, fertile lands or forests. There are plenty of already ruined lands and arid, barren areas to set up "shrimp shop!" My time as a volunteer intern at the MAP Asia office in Thailand has come to an end :-( It has been an incredible experience and have learnt so much about mangrove restoration and mangrove ecosystems as a whole! It has been a pleasure working and exchanging information with all of you. Thank you! Happy Thai Buddhist New Year! Selected winners will be published in the 2017 calendar to be distributed internationally to raise awareness of mangrove forest ecology. This creative contest aims to promote appreciation and awareness of mangrove forests, and to encourage and listen to creative voices of children living in mangrove areas. Help us launch this program in your school by contacting science and art teachers in your area and encourage them to work together on this fun and innovative project. Artist Identification: On the back of each art work please write in English: the full name and age of the artist, the school name, address, city or town, country, and title of art work. Mailing instructions: The artwork has to be mailed in a small tube, such as the ones for mailing posters. Make sure the art is sent in certified or registered mail to MAP, PO Box 1854, Port Angeles, WA 98362-0279, USA. Each school will hold its own exhibition and select 3 or more winners in art. Winning entries will be collected in each country by a participating NGO and then mailed to MAP's office to be judged by a team of artists. -1st Place will receive a certificate + 2 calendar and the recognition of being published in an International calendar with global distribution. Participating NGOs will receive 4 Calendars. Please, we must receive the artwork in MAP's office by August 1 2016. Please mail in a tube or flat in a box, but not folded! Who do I contact? All entries selected at the national level should be submitted to the same address. It is suggested that this contest could coincide with an Associated Mangrove Ecology Educational Project with the children. This lesson will highlight the importance of mangrove forests for the environment, for their community, for fishermen and/or for the associated mangrove forest fauna. The intent of this educational project is to help the participating children better comprehend the important role mangroves play in their lives and for their communities. 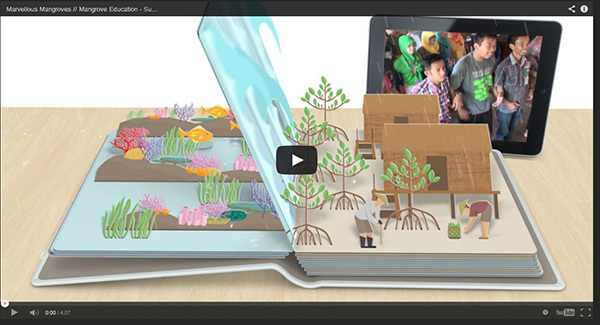 1- Information and guidance in the classroom, aided by text books, mangrove curriculum, slides and videos. 2.- Eco-Study Field trips for firsthand observation with the teacher and/ or a local resource person, where they can observe the myriad forms of life that inhabit the mangroves, such as the many colored birds, fish, crabs, mollusks, reptiles, mammals, and insects, while also learning about the unique characteristics of the associated mangrove plants and trees. 3.- During, or after, the field trips, the children can hold interviews with their parents or local fishermen about the mangroves in their region, learning more about the history of the area's mangrove forest, as well as why they are important and what the problems are when the mangroves are lost. 4 - As a result of this research, the children may wish to create artwork for the 2015 calendar art competition.